Instagram is currently the fastest growing social media platform. It was started as a simple photo sharing app but has now grown to support a community of over 300 million brands and consumers. Pretty ridiculous right? For business owners, bloggers and creatives it’s one of the best and easiest ways of engaging with followers. Through likes, follows and comments an active audience isn’t far away. Since Instagram is solely based on visual content, it’s important to have a professional and branded feed. We’re all drawn to those accounts that have seamless, beautiful images that are completely engaging yet have a consistent feel throughout. But how do you get that quintessential Instagram look yourself? Here are a few tips and tricks to help you get started. There are four main areas to consider when optimising your Instagram profile. Create a consistency by using a similar (if not the same) profile picture as all your other social media accounts. This will result in consistent branding and make your easily recognisable to customers. Choose your handle wisely. Your handle is the name that will be displayed below your profile picture. This should either be something simple and either the name of your business or your name if your prefer. Make sure you add a link to your website so that followers can take a look and get in contact with you. Instagram has a fairly laid back approach when it comes to “feed speed” so you don’t have to post every hour or even every day. If you post too much you could become aggravating to your followers so organise your posts and create a schedule so you can keep track of engagement and work out when the optimum post days and times are for your business and audience. Obviously, your main aim is to share photos that are relevant to your brand and potential customer base. This could be anything from images from your portfolio to showcasing your latest offers and discounts. 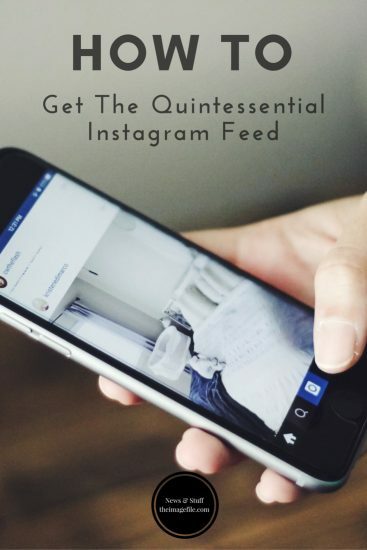 However your Instagram feed should also show a healthy balance of both fun and business-related content. Instagram is the perfect place for your work and personal life to meet, so don’t be afraid to share some behind-the-scenes images or couple of snaps from your day. Just make sure all images are work appropriate! Top Tip! While there is no set formula for being successful on Instagram, images with clean backgrounds and single dominant colours tend to receive more likes. However it’s worth experimenting with different image styles to see what engages your followers. As a professional photographer you will already have a consistent photographic style. However when using Instagram and all of it’s wonderful features and filters it’s worth trying to stick to similar settings, colour palettes and subject matters just so your Instagram feed feels consistent. There are two primary ways of engaging with followers on Instagram. The first and most popular way is by using hashtags. Instagram posts tend to receive more engagement if they include multiple hashtags. It’s best to use 1-2 of the most important hashtags in the post description, followed by a list of hashtags at the end of the post or in the first comment. Also try to use a consistent hashtags just for your business, for example #theimagefile. The second way is to encourage conversations between you and your followers. This could be by asking questions within your posts, responding to comments to keep conversations going or to simple tag everyone that’s appropriate in the post itself or post description. Let’s say you post an image of a wedding you recently photographed – you could tag the venue, wedding dress company, hair accessory company, florist, make up artist, groom’s suit supplier, the caterers, bridesmaid dress stockists etc.